Hanoi (VNS/VNA) – The Vietnam Technological and Commercial Joint Stock Bank (Techcombank) has targeted a pre-tax profit of more than 11.7 trillion VND (504.3 million USD) in 2019, representing a 10 percent year-on-year increase. The target was approved at its annual shareholders’ meeting held in Hanoi last week. It also planned to increase its total assets by 17 percent to 375.8 trillion VND (16.2 billion USD) this year while holding outstanding loans at 245.4 trillion VND (10.57 billion USD), up 32 percent from last year. Its bad debts would be limited to less than 2.5 percent in 2019. In 2018, Techcombank achieved high business results. Its pre-tax profit was up 32.7 percent from the previous year at more than 10.6 trillion VND (456.9 million USD). These helped the bank achieve return on average assets (ROAA) of 2.9 percent and return on average equity (RAE) of 21.5 percent. 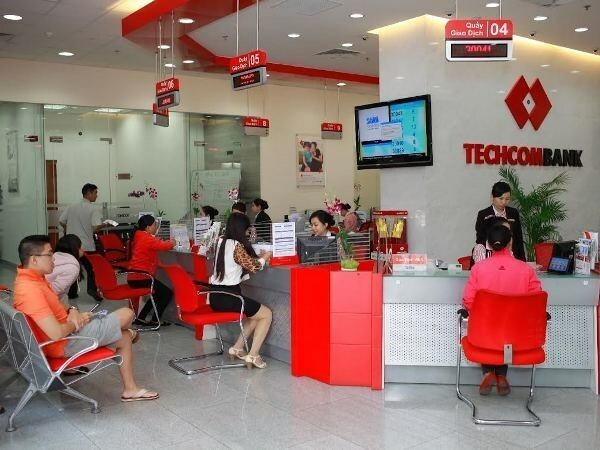 Techcombank CEO Nguyen Le Quoc Anh said the two criteria had not only been among the highest among banks in Vietnam but also surpassed big scale banks in India and Thailand. In addition, Techcombank successfully mobilised capital to raise its capital adequacy ratio (CAR) to 14.3 percent, much higher than the level stipulated by the State Bank of Vietnam as well as the minimum level according to Basel II. Techcombank was among the few commercial banks last year which were assigned higher credit growth limits of 18 percent with priority given to those who met Basel II’s capital safety and risk management standards ahead of schedule. “The bank plans to grow revenue by 20-30 percent a year and retain 20 percent of profit. In order to increase revenue, instead of growing debt balance, the bank would focus on raising fees (expected to account for 50 percent of the total revenue),” Anh said. Techcombank Chairman Ho Hung Anh said the bank wanted to retain profit to strengthen its equity and ensure the requirements of the central bank and Basel II are met. At the meeting, shareholders also approved a plan to issue 10 million shares under the Employee Stock Ownership Plan (ESOP) programme at a price of 10,000 VND to increase its charter capital to more than 35 trillion VND (1.5 billion USD). Anh added the bank would start construction of two new buildings on Ly Thuong Kiet street (Hanoi) and Le Duan street (HCM City) this year. The two buildings are expected to become operational in 2021. Ho Hung Anh was re-elected to the position of chairman of Techcombank's board of directors for the third consecutive term. Other members include Nguyen Dang Quang, Nguyen Thieu Quang Nguyen Canh Son, Do Tuan Anh, Lee Boon Huat, Saurabh Narayan Agarwal and Nguyen Nhan Nghia.